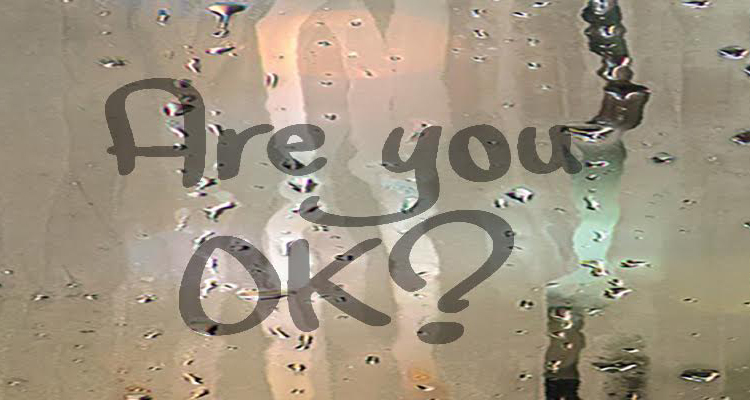 You are at:Home»Opinion»I Am OK! Are You OK? You build a widget. You give your widget away at no cost because you really believe in doing something you perceive as a positive thing. You ask nothing in return. Nothing. You receive a few hundred appreciative emails thanking you for the kind act. You receive a few unappreciative emails. You understand that there will be such emails. You also understand that there will be individuals who will inject personal bias and feelings about your widgets based on an unpleasant experience or two they had. Maybe, they have a strong personal dislike for others in the cryptocurrency space. I do know. Yet, if the majority like your widgets, do you stop producing them because one or two do not want you to? And, if you did, would that make sense? You don’t even know these individuals, yet they act as if they have known you all their lives to qualify themselves to ascribe to you the qualities of being good, bad, better, or worse as if you do not know yourself. Besides, did you give the – people you do not know – permission to ascribe to what they want you to be? I certainly hope not. Would they want someone to do that to them? Yet, there are individuals – no matter what you say or do – will not like what you say or do. They arrogate themselves to actually strongly suggest to you what you should do. This is what one does with children. No children here. Oftentimes, these individuals forget themselves and do not consider that this website and the content therein are mine. It is built on my time and resources. There is only one Captain of the ship here. I do not make anyone accept what I write (or what I promote). Yet, I always strongly push portfolio building as a long-term asset, patience, discipline, and invest only what one can afford to lose. One person may be of the opinion “that this and that” is a scam and Ponzi. So, what else is new? Ninety-percent of the cryptocurrencies and ICOs in the space are scams. That is why investing in anything crypto-related is highly risky. The end results of investing in anything crypto-related that fails are oftentimes frustration and anger, and people want to vent that frustration and anger. But coming at me because I promote something I like – and someone else might not – and I make money with it is not going to halt or slow me down from writing, speaking, or promoting it especially if I see great potential in it. That is my decision to make. I think that this a problem that is rising up in the space. Too many people seek to arrogate themselves to tell others what they think is best for them. I never do that. I encourage research, thinking, and concluding for oneself. If what I write or say influences them, then that is them allowing that influencing. There is no arm-twisting. I write about what I am passionate about. Cryptocurrency is one of fo those things. While I respect the opinion of others, it does not mean I must agree with them all. Who does that? Who among us agrees with, listens to, or complies with everything others say to us? One would be a very divided and conflicted person if they did! Like I mentioned above, I do not know those individuals. I have many years of life’s experience and experience in this space and I can think, weigh, and decide for myself. All should do that, too! Think for themselves. Not tell others how or what to think. This is something else I promote: “To think for oneself.” “Weigh, decide, and conclude for oneself.” Do not purport to tell others – whom you do not know – what YOU think they should do or act as if you know them well enough to even suggest it. That is disrespectful and arrogant. To do such a thing comes from a dark place. Personally, I think it crosses a line. While I do not take it personally, I never listen to such individuals. My reasons are historical and formulated by my life’s experiences. I was told many times in my younger years that I would not amount to anything. In spite of being a straight “A” student as far back to the 6th grade. To have a 6th-grade teacher place me in in front of the class to solve a complicated math problem on the blackboard to make an example of me. You see, I was the only Black student in the class. I was not able to solve the math problem because it was not discussed in class. While staring at the blackboard with chalk in hand, the teacher went on a rant about me personally calling into question my intelligence and that it was the reason why I was not able to solve the problem. He angrily told me to return to my seat. I was embarrassed. He erased the problem from the chalkboard. He never called anyone else up front to solve it. He just erased it. Now those are two people I would listen two because I know them. Funny how things turned out. In my Senior year after a High School basketball game, I participated in there was a tap on my shoulder. I turned around and standing there was my 6th-grade teacher. Aged. He remembered me; in near-tears, he apologized for that day six years back when I was a sixth-grader. I had forgotten about it. I did not look to him to define who or what I am. My parents were my heroes. He extended my hand. I took it and shook it and accepted his apology and even gave him a hug. He looked like he needed it. My life has been highly successful. No denying that. My LinkedIn Page attests to that (in part). I am exceedingly happy with my life and the decisions I have made navigating it and the people I respected enough to influence it. My point here is, that it is not wise to say things to others if it is not to build them up. It is much better just not to say anything. So many people go through “stuff” in their lives that bring out the worse in them. It is easy to see the frustration and anger in the things they say or write. I must account for that. But does that mean I am going to comply? No, usually not. BTW: Invest only what you can afford to lose. Previous ArticleWhy You Should Be Looking Into DApps? Next Article Is Crypto-Investing Gambling?